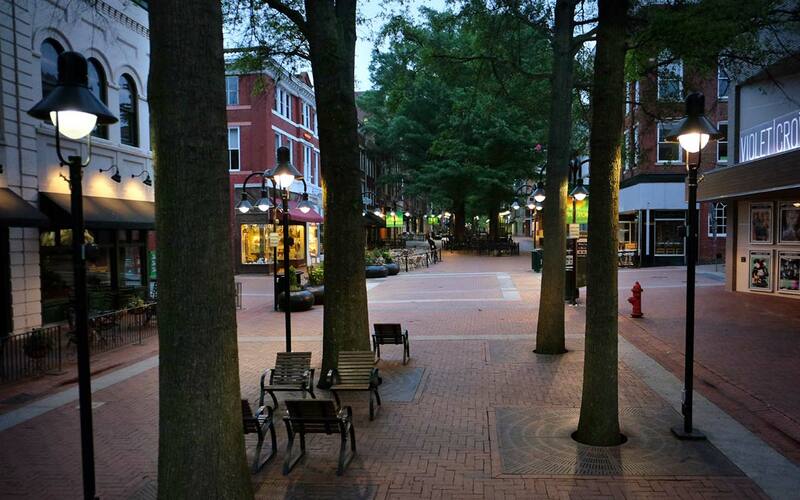 During the early 1970s, Halprin was approached to help revitalize downtown Charlottesville. 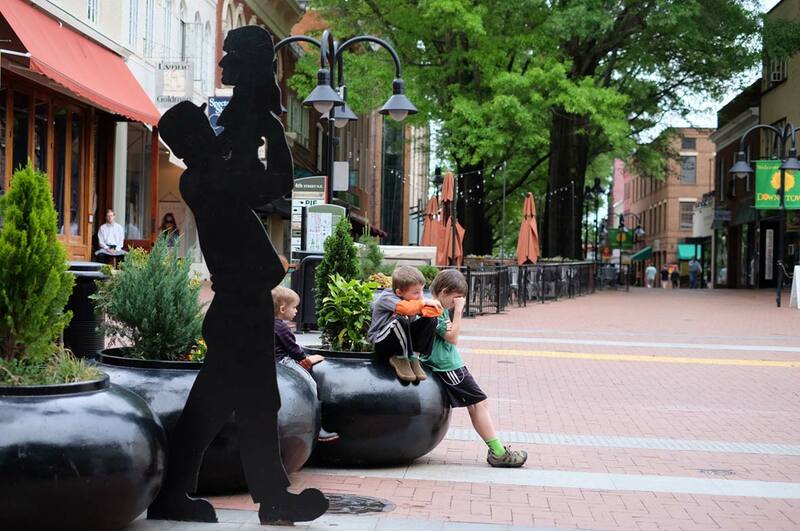 Halprin spent three years on the project, incorporating a series of public workshops that resulted in an eight-block stretch of Charlottesville’s historic Main Street being removed from vehicular circulation and redesigned as a 60-foot wide pedestrian mall. 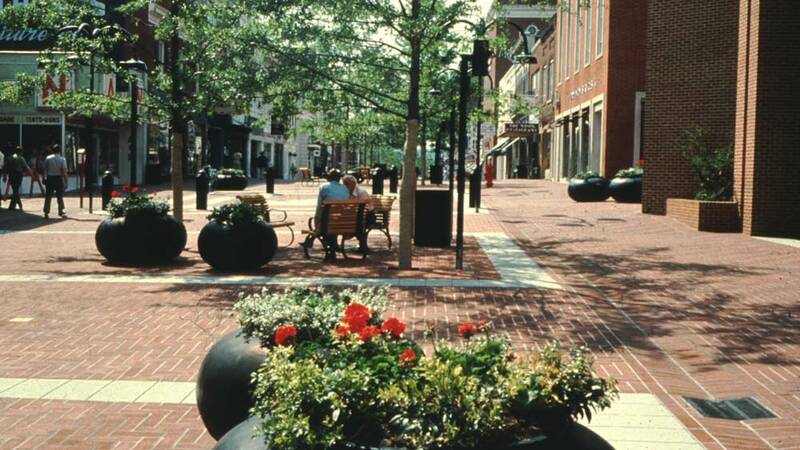 Today, theaters, restaurants, shops, and apartments line the mall, which is characterized by willow oak bosques, unique brick pavers (that measure 2” by 14”), outdoor seating, and several small-scale fountains. 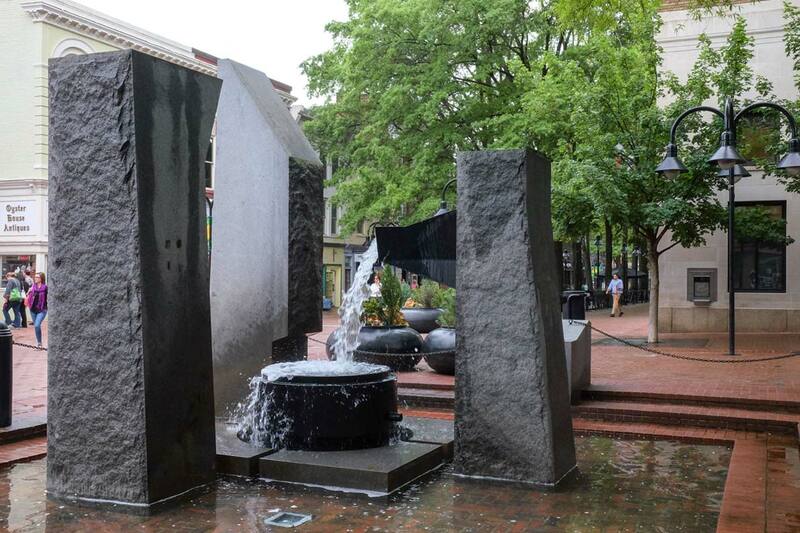 In 2002, the Pew Partnership for Civic Change cited the project as one of three programs that brought a “downtown back to life.” It is the only remaining project designed by Halprin in Virginia; the other, the sculpture garden at the Virginia Museum of Fine Arts in Richmond, was demolished in 2006. 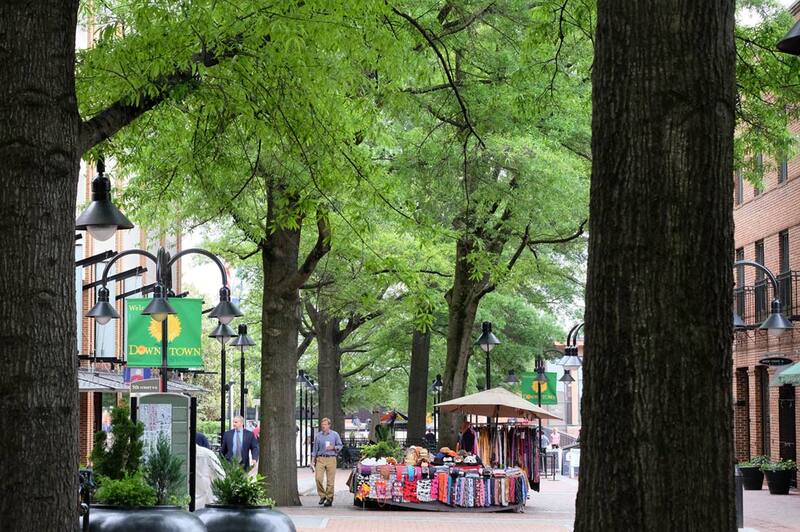 That the mall has survived is significant in and of itself. 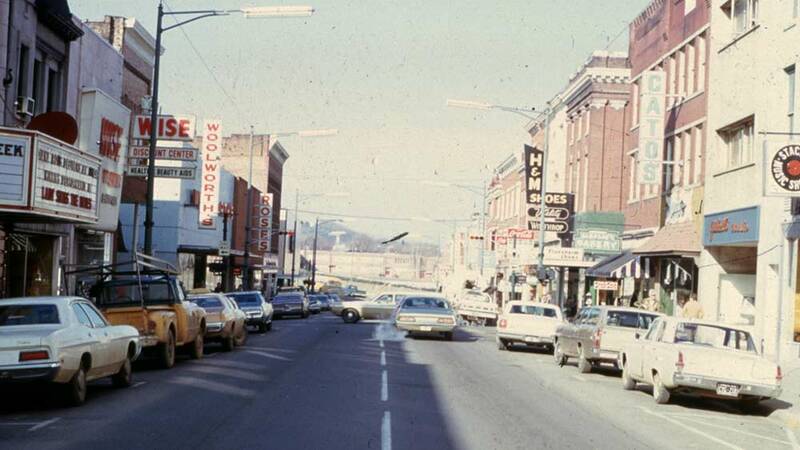 Many other pedestrian malls from the period were economic failures and as such have been demolished or substantially altered. While the mall was renovated in 2008, there are ongoing issues; some recent additions to the site have not been in-keeping with Halprin’s design intent, so clear design guidelines should be established for any changes, alterations and additions. 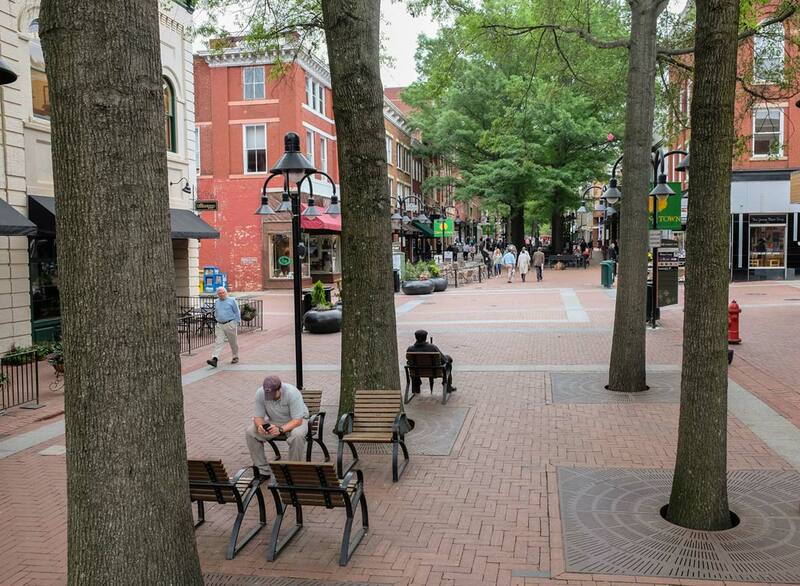 In addition, as the sole surviving Halprin design in the Commonwealth of Virginia, the mall should be listed in the National Register of Historic Places. Lepage joined Nelson Byrd Woltz in 2012, where he is a graphic designer and contributed to the initial concept and subsequent production coordination for the firm’s award-winning monograph Garden, Park, Community, Farm. 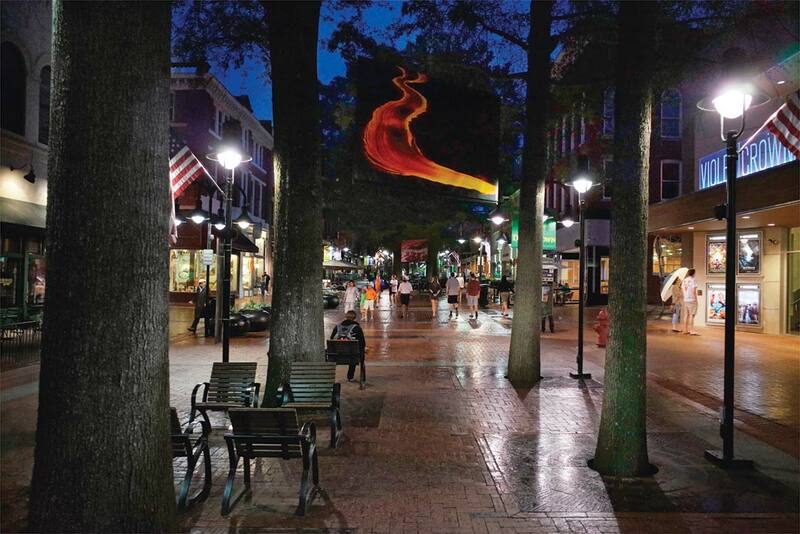 Lepage explores the aesthetic and communicative aspects of systems and compositions to create visual solutions and workflows across media, engaging and connecting people to narratives and information.